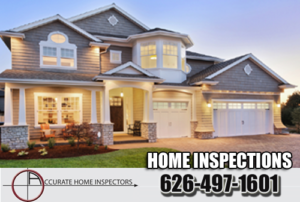 Need a certified home inspector Los Angeles? When it comes time for a residential or commercial property inspection in Los Angeles and Orange County do you know who to call? Take stock of the soundness of your home. If you need a house inspection for some other purpose, pulling out the phone book won’t help. Don’t get overwhelmed by the list of inspection companies, none of which can give you the meticulous inspection you need. With our company, get the kind of spot-on service offered by a team with over 30+ years of experience providing quality inspections. Using only the latest technology in inspection equipment, our certified home inspectors in Los Angeles and Orange County also strive to conduct the most accurate house inspections possible. All too often, people looking to buy a home neglect to have the necessary inspections performed, and end up with a costly problem on their hands. Don’t put that important home inspection in inexperienced hands. Come to the professional inspectors with a reputation you also can bank on — come to Accurate Home Inspectors. Serving Los Angeles and Orange County as well as the San Gabriel Valley, our inspectors also do inspections in Pasadena, Glendale & home inspections in San Marino, Arcadia, Burbank, Studio City, Silverlake, Glendora, Covina, Duarte, Sierra Madre, Altadena, El Monte, La Canada, La Crescenta San Dimas and La Verne. We are here to lend a hand to make sure your home is safe and sound from top to bottom. * Are your property inspectors or company also E & O Insured? * Who needs an Inspection? We’re certified home inspectors. We simultaneously conduct both a structural inspection and the wood destroying insect (WDI) report. * What do you inspect? Our inspectors also check the foundation, structure, roof, attic structure, electrical system, plumbing system, heating, and air conditioning system, and more. * Should I also be there for the inspection? We urge you to be at your home inspection. This also gives you an opportunity to raise any questions you have about the structure with our inspector. We also suggest you have a list of questions on spots you have concerns about and ask the inspector at the inspection. * What’s the purpose of an inspection? Inspections give the buyer an unbiased report of the structure and its systems. An inspection also makes you aware of the positive and negative spots of the house to make you a more informed buyer. 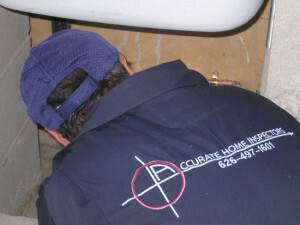 Need more info on our home inspections in the LA and OC areas call today.